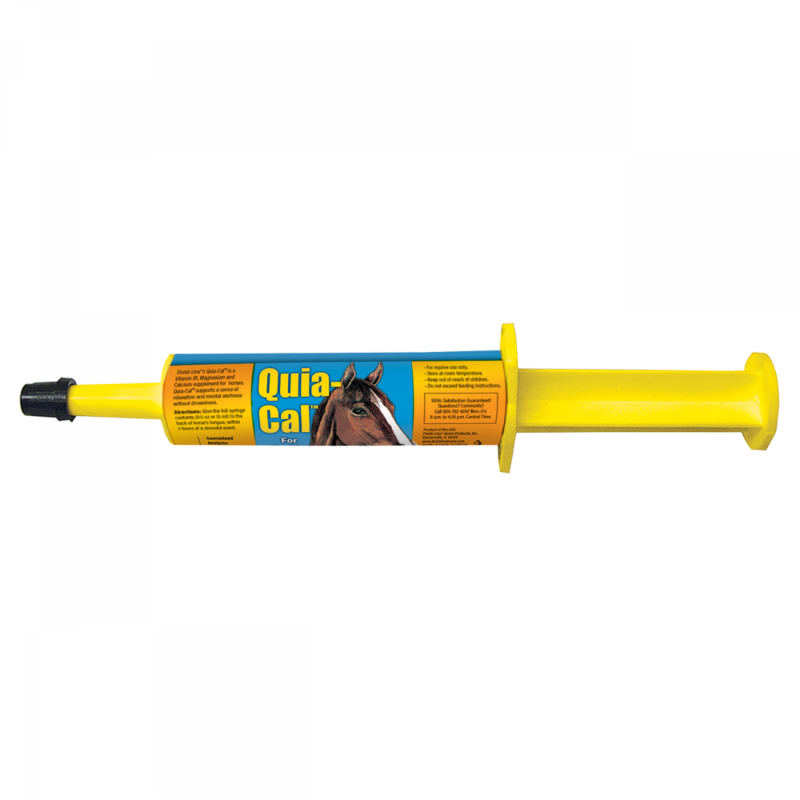 Quia-Cal® is a fast-acting one-shot oral paste that promotes healthy nerve function and a sense of relaxation and mental alertness without drowsiness. Supplied in a convenient oral syringe, Quia-Cal® has a tasty apple cinnamon flavor that horses love. Use as an aid in the prevention of minor nervousness during times of stress. Contains Vitamin B1, Calcium and Magnesium. This product does not contain tryptophan and will not make horses “dopey”. This product helped my nervous nelly mare become a joy to ride. Her focus increased and she paid more attention to me. I recommend it.